Featuring award winning pianist, composer and arranger, Chester Tan and introducing pianist-composer Bevlyn Khoo, comes another 30 beautiful and relaxing compositions for a serene body, mind and soul. CD1 tracks 2, 5, 8, CD2 tracks 1, 2, 4, 5, CD3 tracks 2, 5, 10 composed by Bevlyn Khoo, piano arranged and performed by Bevlyn Khoo, additional arrangements by Chester Tan. 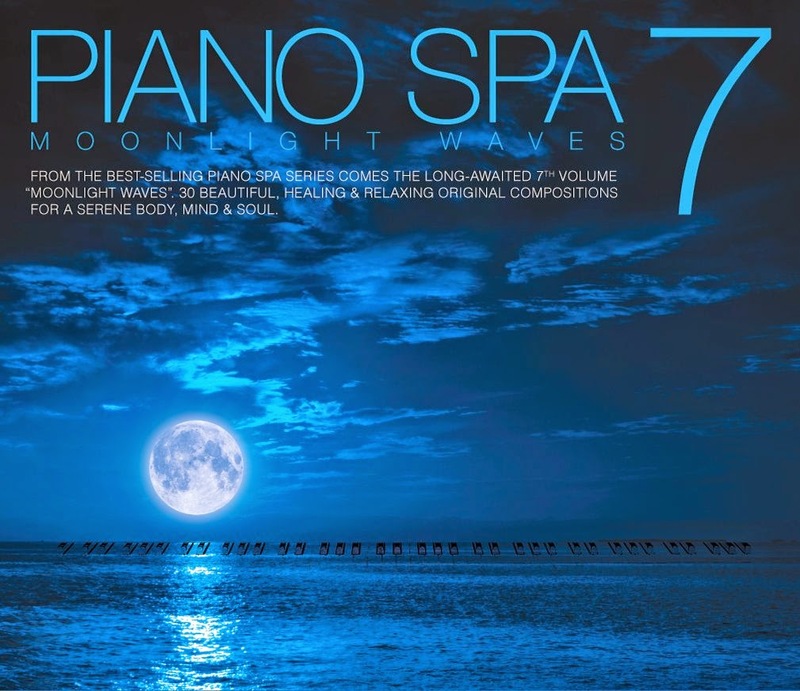 Piano Spa is an anthology of successful New Age Instrumental albums. The Piano Spa series is a collection of Original Instrumental compositions that have been described by listeners as “healing”, “relaxing” and “inspiring”. Unknown to many, the Piano Spa series is probably the best-selling Instrumental series to emerge from our very own Singapore. All 7 instalments of Piano Spa have been released in Asia, including the coveted territories of Japan and Korea, chalking up over 70,000 in sales units over the years. That is a remarkable feat for pure instrumental albums without vocals – and largely, without a face as well. The Singaporean composer behind the Piano Spa series is Chester Tan. Chester Tan is an award-winning Singapore composer who has published over 100 piano instrumental compositions under the “Piano Spa” title series. The series has been so successful that it has propelled Composer, Arranger and Producer, Chester Tan, to the status of a top local instrumentalist. Testament to this achievement is his 4-consecutive year win (from 2011 to 2014) at the annual COMPASS Awards as Top Local Composer – Instrumental and COMPASS Young Composer of the year for year 2011. The Piano Spa series was conceptualized in 2005 by Warner Music Singapore’s A&R Director, Mr James Kang. To freshen and reinvent the sound for the latest instalment of Piano Spa, Chester Tan teams up with another prolific local composer, Bevlyn Khoo. Bevlyn Khoo, who has previously released 5 vocal albums, makes her foray into Instrumental music by co-writing and contributing 10 tracks for this release. Award-winning Singapore composer Chester Tan share his thoughts “While working on the last Piano Spa album in 2011, I met Bevlyn and developed a mutual appreciation for each other’s talents. So, while planning Piano Spa 7, I asked her if she would be keen to write piano music. Bevlyn is an experienced songwriter who understands the musical style that I was looking for in Piano Spa 7. Her compositions are melodious, catchy, and it has been a great delight producing her songs. Would like to buy your piano spa 7.Kindly let me know if how I could buy it from you directly. Thanks.